Foreign Minister Nikos Kotzias, who resigned abruptly last week after a clash with Defense Minister Panos Kammenos, announced one final policy decision on Saturday, saying Greece is ready to extend its territorial waters in its western flank from 6 to 12 nautical miles. 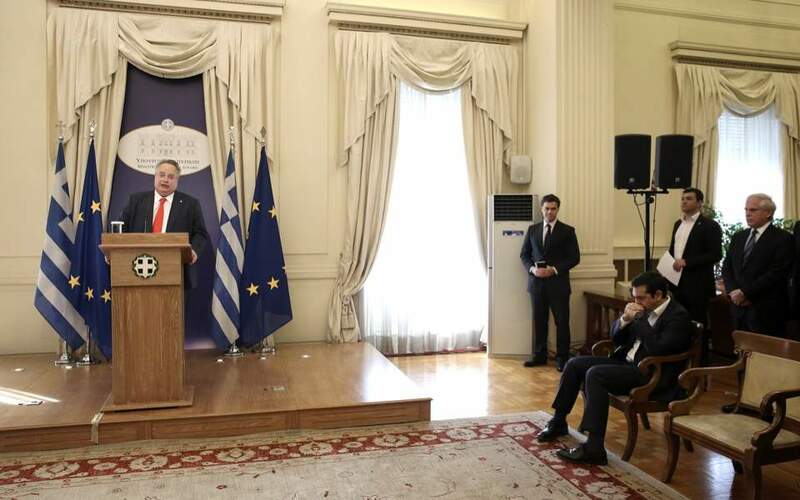 Kotzias announced the decision during a ceremony to hand over his portfolio to Prime Minister Alexis Tsipras who is now to oversee foreign policy affairs. The move concerns the sea region extending from the Diapontia Islands, a cluster of small islands in the Ionian Sea, to Antikythera, an island lying between the Peloponnese and Crete. It is “an important policy, the extension of the country’s sovereignty for the first time in 70 years, since [Greece] incorporated the Dodecanese [islands],” the outgoing minister said, adding that the required presidential decrees have been drafted. The move would facilitate the delineation of the exclusive economic zones of Italy and Albania, he said. Responding to the move, opposition New Democracy said it showed the government lacks seriousness. “A very important announcement on the country’s foreign policy, such as the selective extension of its territorial waters, is done casually and in a piecemeal manner, on the occasion of the handover ceremony at the Foreign Ministry,” shadow foreign minister Giorgos Koumoutsakos said in a statement. “This confirms, once again, the [government’s] lack of seriousness and sense of responsibility,” he added. Commenting on Kotzias’s tenure at the Foreign Ministry, Koumoutsakos said he will be remembered for the “harmful” Prespes deal and the “concession of the ‘Macedonian’ ethnicity and language” to FYROM.